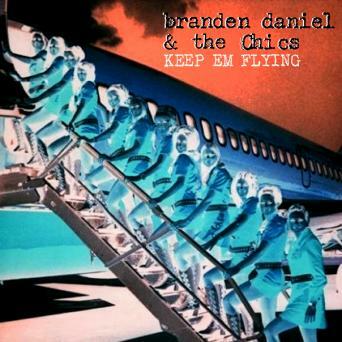 From Seattle, comes Branden Daniel & The Chics with their debut album, which at times sounds like the second-coming of the Kings of Leon. The new release entitled “Keep Em Flying” was released back in May and was produced by Bruce Duff and Grammy-Award winning producer Tom Biller (Silversun Pickups). The trio of Branden Daniel (singer/guitarist), Aaron Schroder (guitar) and Matt Winter (drums) perform with that raw, garage-rock energy that would make bands like Iggy & The Stooges and The Velvet Underground proud. Branden Daniel & the Chics currently have no live dates scheduled, but stay tuned to bdandthechics.tumblr.com for more information.